Over time windows naturally get dirty from dust in the air, birds flying by and bugs taking refuge. Keeping them clean is essential to ensure they continue working as they should, but how should you clean aluminium windows without damaging them? The cleaning methods may vary depending on the age of your windows and the finish on them. 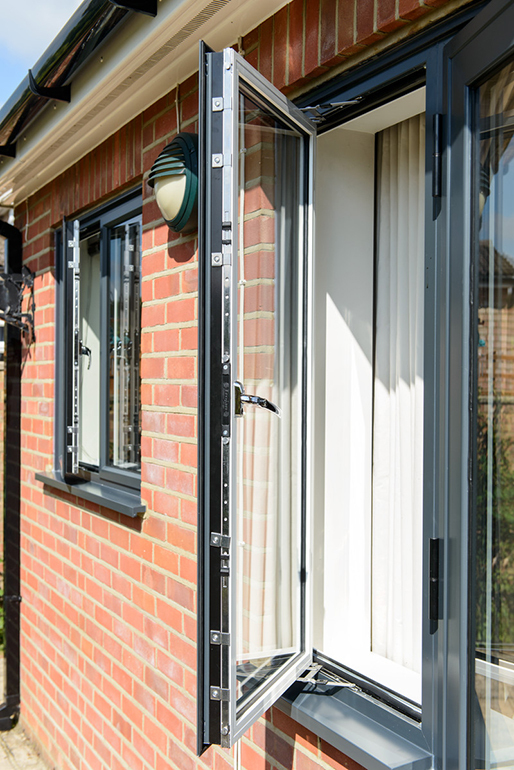 Newer powder coated aluminium frames will need a less vigorous clean than aluminium windows that are older than 15-20 years and without a painted finish. Below we’ve tried to outline the best cleaning options for both types of finish. A powder coated finish is a painting technique that gives you a long-lasting finish that won’t corrode, making it highly sort after on aluminium windows. If yours are like Anglian’s and have a powder coated finish, the cleaning process is much simpler than you may think. It’s recommended you clean your windows at least once every 3 months as this will keep your windows looking like new for longer! Top tip: Start washing from top to bottom to prevent dirt spreading over where you’ve already cleaned. All you need to wash the aluminium is warm soapy water and a soft cloth (microfibre clothes are great!). Don’t be tempted to use anything abrasive or harsh cleaning agents as this will damage the finish and invalidate a warranty. The only grease you’ll need is of the elbow variety, guaranteed to get rid of any stubborn bits of muck or dirt. Don’t forget to clean in hard to reach places or parts that are hidden when the window is closed. A build up of debris here can cause issues with the drainage of the window. Once you’ve washed all parts of the window, give it a good dry with another clean cloth and they should be sparkling once again. 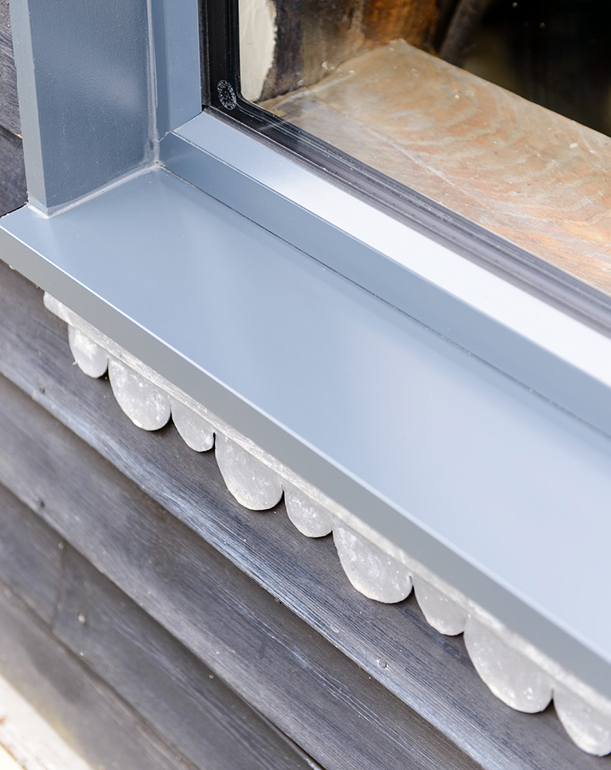 If you have older aluminium windows they may not have the this special finish, meaning they could be exposed to the elements, leaving them looking a little worse-for-wear. If they do, it’s worth giving them a thorough clean to see how they’re holding up – you may find as you’re cleaning there are leaks, holes or damage to the windows. Warm soapy water is the best place to start when cleaning them, getting rid of the surface dirt and grime. There are special aluminium cleaners out there, but be sure to check the label and sample on a small hidden area first. Dry the aluminium once again with a cloth as it should buff them up nicely. You may find that the frames are heavily water-marked from years of exposure to Mother Nature, but fear not, you may be able to polish this off with fine steel wool and water. 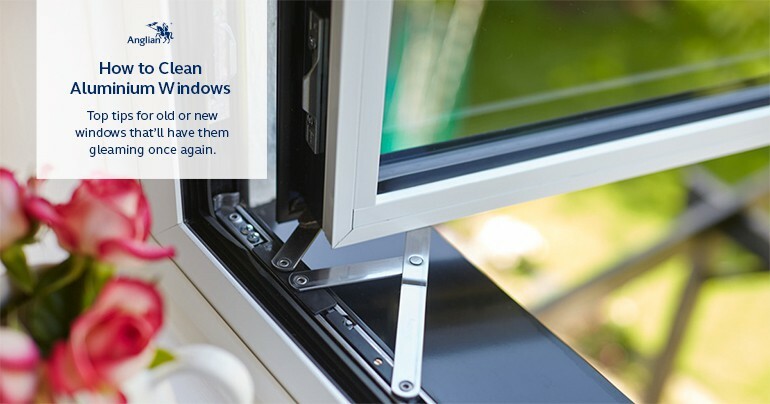 If you find irreparable damage whilst cleaning your windows, you should consider replacing them with new aluminium windows, complete with the easy to clean powder coated finish. It’ll save you money with more efficient glass, save you time with the cleaning and they will give your home a fresh new look!